Will - Premier Quality Renovations Inc.
We just purchased a downtown condo, our first property. The condo is an older unit and had been rented for a number of years. We decided to upgrade the property and sought out a trustworthy contractor. Our project involved a complete gut of the master bathroom and powder room, new tiling and updating in the front foyer, replacing the backsplash and adding a pass-through in the kitchen, adding a feature wall in the living room, replacing the balcony flooring and various other updates throughout. We had a long list of upgrades to complete and just two months to get everything done. Premier Quality Renovations delivered on the project and we feel very fortunate to have found Peter and his team. We are very happy with the overall quality of the completed work, which is a testament to all of the crew’s hard work. In particular, Vasek and his son did a great job on all of the flooring, and Pablo did an amazing job restoring the front door. Peter was excellent dealing with the condo rules and working with the corporation representatives. He was extremely flexible and responsive throughout the entire process. He stands behind his work and earned our trust. 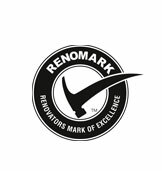 We are enjoying our renovated home and recommend Premier Quality Renovations to anyone considering renovations in the GTA.